Cook like the pros. 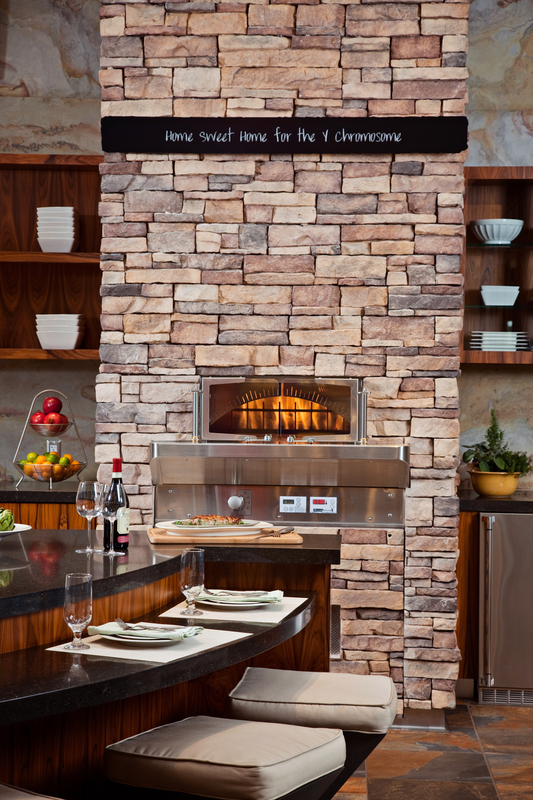 With a Wood Stone Home oven, you can cook with the same oven favored by world-famous chefs such as Wolfgang Puck and Bobby Flay. Our ovens are a true extension of our commercial line – not a scaled down version. They are built from the ground up with the perfect blend of high tech, high touch and innovation that our loyal customers have come to expect. Why should homeowners settle for anything less than the best…perfection? Beautiful kitchens have always been major contributors to a home’s livability and enjoyment, and a Wood Stone Bistro Home Oven takes that equation to a whole new level. Whether you install a Wood Stone Bistro Home Oven in your current kitchen, plan one in your next home or decide on a kitchen addition (indoors or outdoors), a Wood Stone Home oven will make your kitchen the visual and culinary showpiece of your home. Space limitations? Bistro Home ovens can be disassembled to fit through any standard door opening (32") and, with their compact footprint, are installed easily into any kitchen. With their stainless steel exterior, they can be set in place with no facade necessary. Wood Stone Bistro Home ovens include a built-in timer, so you can program your oven to turn on and be up to your desired temperature when you are ready to start cooking. Bistro Home ovens come with a wide range of accessories and tools to make your installation and design attractive and functional, while fitting your lifestyle and aesthetic needs. * The Bistro Home 3030 and 4836 are available in gas-fired only. 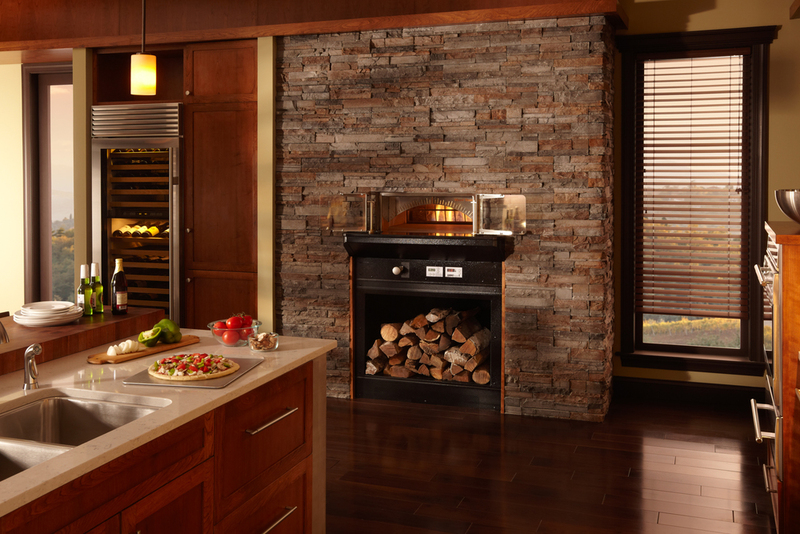 Wood Stone Mountain Home ovens adapt beautifully to any decor, from the modern elegance of stainless steel to custom facades that can include brickwork, stonework or an amazing array of built-in options. Today’s outdoor kitchens have moved beyond a barbecue grill and picnic table to become exciting entertainment areas. 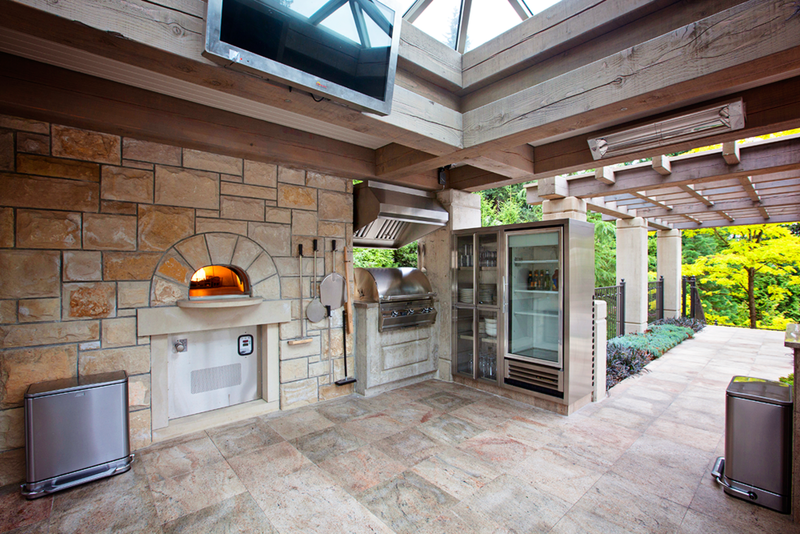 Indoors or outdoors, a Wood Stone Mountain Home oven can transform your kitchen while complementing the design and ambiance of your home. 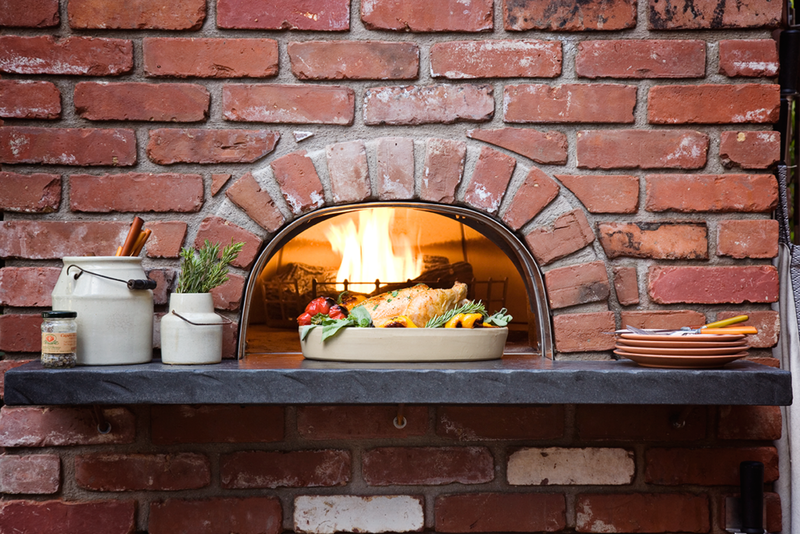 Inspired by traditional Italian oven shapes, the Mountain Home oven is the natural centerpiece for any kitchen. 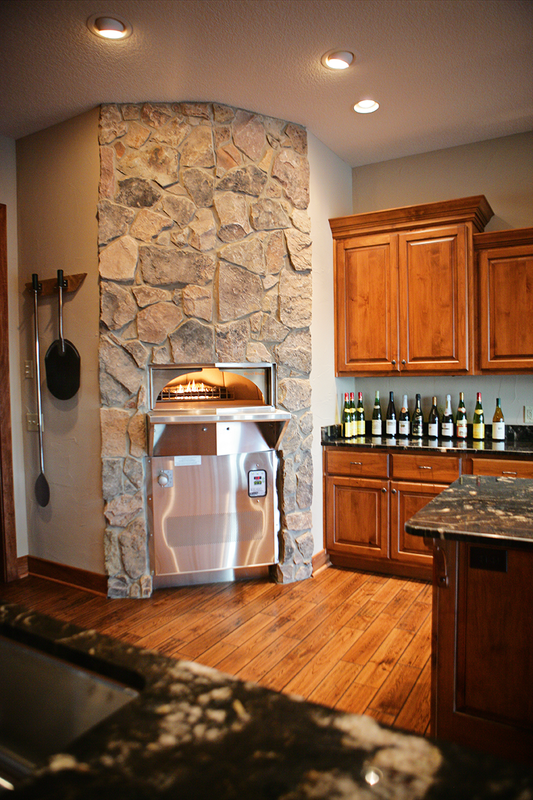 Mountain Home ovens offer large cooking surfaces and provide a variety of facade options. Let us help you design the oven that works for you, whether by choosing facade extensions or custom finishes. 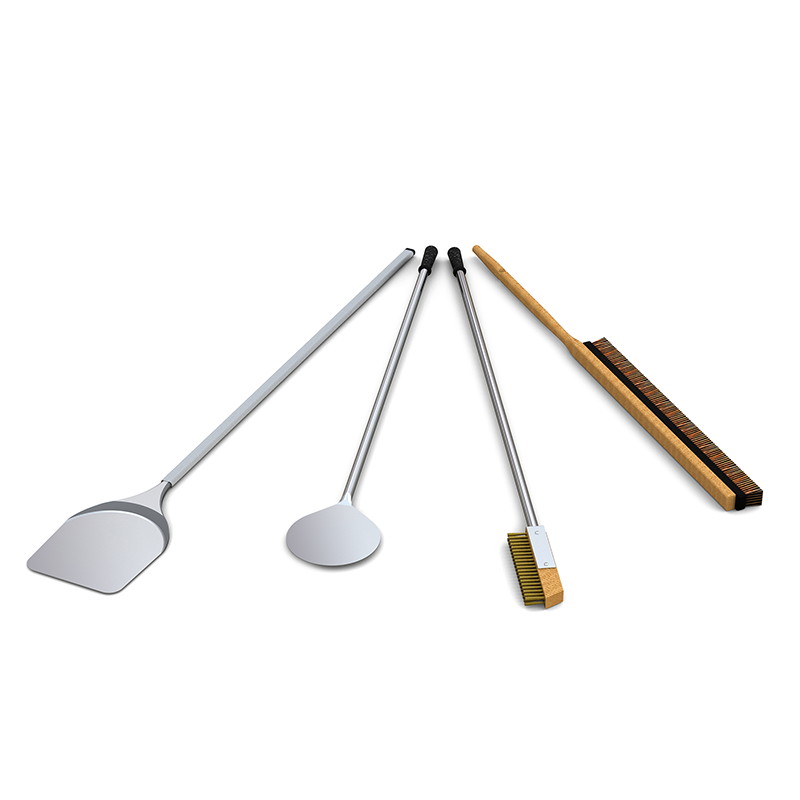 We offer a variety of tools and accessories to complement your oven. From commercial-grade oven tools to heat-efficiency doors, we have you covered. View our entire collection via our catalog. A limited number of items are available for online purchase below.